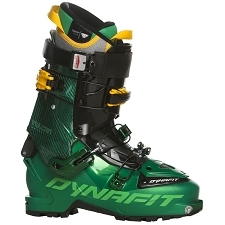 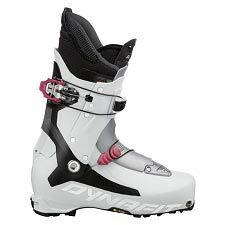 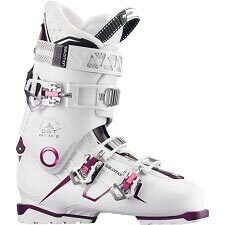 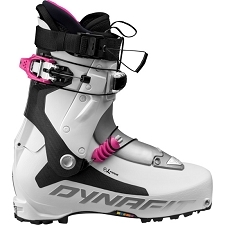 The Dynafit Women&apos;s TLT6 Mountain CR Ski Boot is stylish and appealing to the eye but it was built for demanding ascents and mind−bending descents. 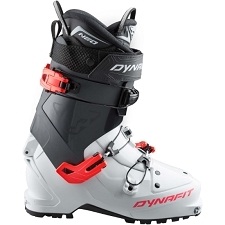 Borrowing features from Dynafit&apos;s TLT Performance boot for men, this women−specific version carries with it all the same alpine performance that&apos;s secure and comfortable on the up and powerful on the down, but in a more female−friendly design. 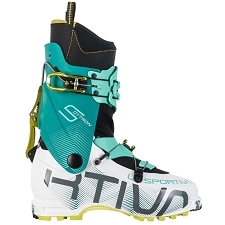 With a Grilamid plastic shell, reinforcing rear spoiler, and easily secured Ultra−Lock 2.0 ski to walk mode, the TLT6 will perform whether you&apos;re ticking off a descent down Denali or brushing up on your mountain skills in your home range. 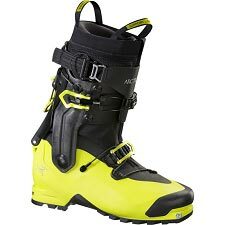 A Custom Ready thermo−moldable liner provides warmth and optimal anatomic comfort, because demanding terrain means a lot of time spent in the boot, and time spent in a comfy one can be the difference between reviling at the summit views and wishing for your tent, and that&apos;s a shame. 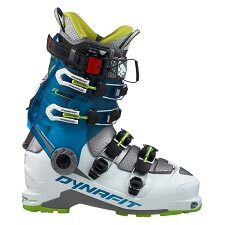 With 60 degrees of cuff rotation, precise crampon compatibility, and Dynafit&apos;s Claw rubber sole, the TLT6s will ascend everything from rock and ice to unconsolidated loose snow. 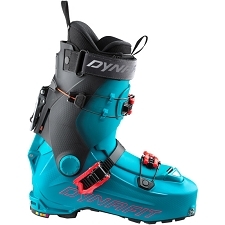 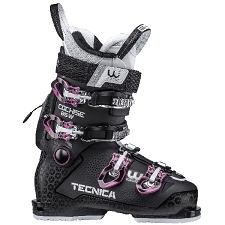 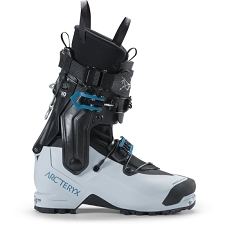 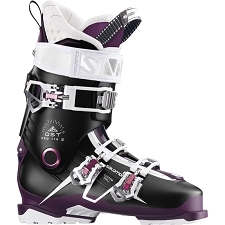 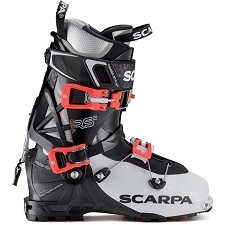 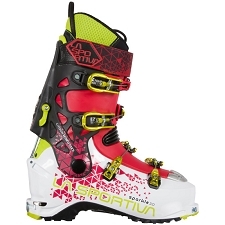 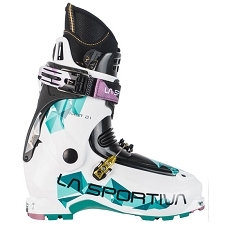 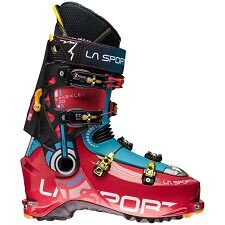 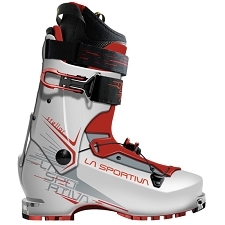 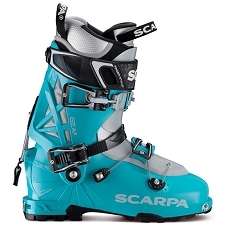 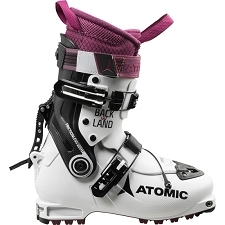 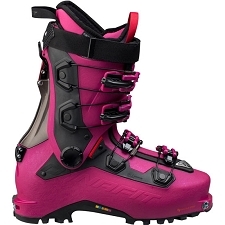 When it is time for the descent, lock down the two magnesium buckles, switch over the snag−free Ultra−Lock 2.0 system to ski mode, and insert the downhill−booster tongue and lay into every single turn with surety and confidence, because these boots will take you to places where every turn counts. 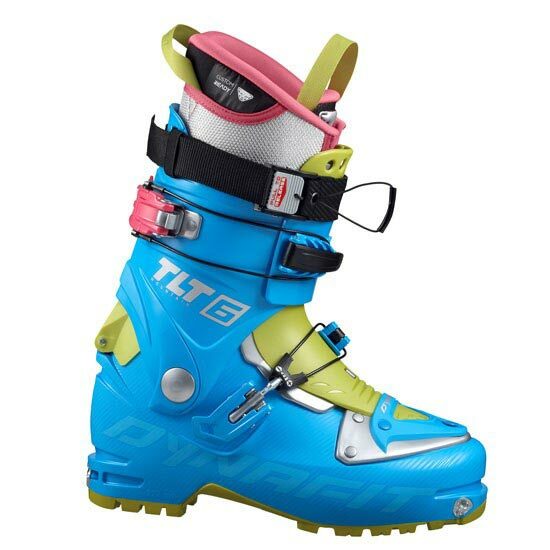 Customer Opinions "TLT6 Mountain W CR"